M1165A1 Special Operations HMMWV is manufactured by AM General. Image courtesy of DVIDSHUB. M1165A1 up-armoured HMMWV is the basis for the M1165A1 Special Operations variant. Image courtesy of U.S. Air Force / Senior Airman Brittany Y. Auld. M1165A1 Special Operations HMMWV can be armed with up to three 7.62mm machine guns. The vehicle is designed and developed by AM General, a vehicle manufacturer based in Indiana, US. An export variant of the M1165A1 was introduced at the Latin America Aerospace and Defence (LAAD) exhibition held in Rio de Janeiro, Brazil, in April. The special operations Humvee variant is designed to be manoeuvrable in all terrain conditions, while providing increased protection for its occupants. It is suitable for missions such as patrol, command and control, utility, and special operations. The M1165A1 Special Operations vehicle is based on a four-wheel drive chassis and is transportable by air, land, sea-based vehicles. 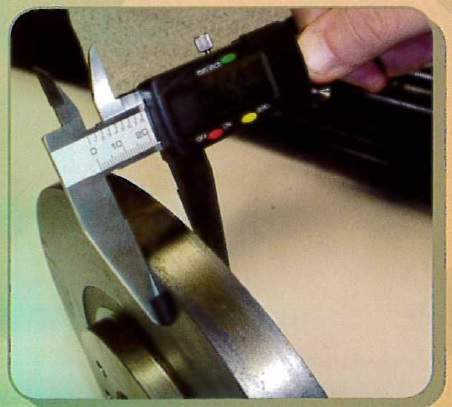 The gross and kerb weights of the vehicle are of 5,488kg and 3,279kg respectively. The vehicle can carry payloads weighing from 2,209kg to 2,245kg based on the mission requirements. It has a fuel carrying capacity of 95l. The M1165A1 Special Operations HMMWV is manned by four crew members, including a driver. The payload options include 2, 3 and 4 bay ammo can storage bins, equipment shelf with stowage box and hood-mounted Pioneer tool kit, and a spare tire carrier mounted on the A-frame. An air-conditioning system is installed in the crew cabin to create comfortable operating conditions for the crew. The vehicle is armed with a 12.7mm machine gun, installed on a weapons mount on top of the vehicle. The weapons mount can be accessed through a large circular roof hatch. Up to three 7.62mm general-purpose machine gun mounts can be fitted to the side doors of the vehicle to provide defence against lightly armoured ground targets and personnel. Additionally, the rear section can be equipped with up to four gun mounts with pintle. The M1165A1 Special Operations vehicle features factory-installed armour packages along with ballistic and mine blast protection kits. It can be optionally provided with additional field-installable armour and fragmentation protective kits to further increase protection from projectiles and grenade fragments. Power for the M1165A1 Special Operations HMMWV comes from a single V8, 6.5l turbocharged diesel engine located in the forward portion of the vehicle. Developed by AM General’s subsidiary General Engine Products (GEP), the engine generates an output power of 190hp at 3,400rpm and a torque of 515Nm at 1,700rpm. "The special operations Humvee variant is designed to be manoeuvrable in all terrain conditions, while providing increased protection for its occupants." A four-speed transmission system, also made by GEP, is connected to the engine to provide better driving performance. The vehicle incorporates independent double A-frame suspension at both front and rear. Front suspension is provided by coil spring and telescopic shock absorbers, while variable rate springs, coil springs, and telescopic shock absorbers are fitted for rear suspension. The M1165A1 HMMWV’s powertrain also consists of hypoid gear differentials at the front and rear with a gear ratio of 3.08:1. A two-speed transfer case is installed to ensure increased mobility on off-road conditions. The brake system consists of disc type service brakes and dual disc, independent parking brakes. The armoured vehicle offers a maximum speed of 113km/h and can travel to a range of up to 402km. It can ford at a depth of 0.76m in water, and has a turning radius of 7.62m and a ground clearance of 46.23m. Its approach and departure angles are 48° and 40° respectively. The HMMWV can negotiate grades of 40% and side slopes of 30%, and can climb vertical steps of 45.72cm. 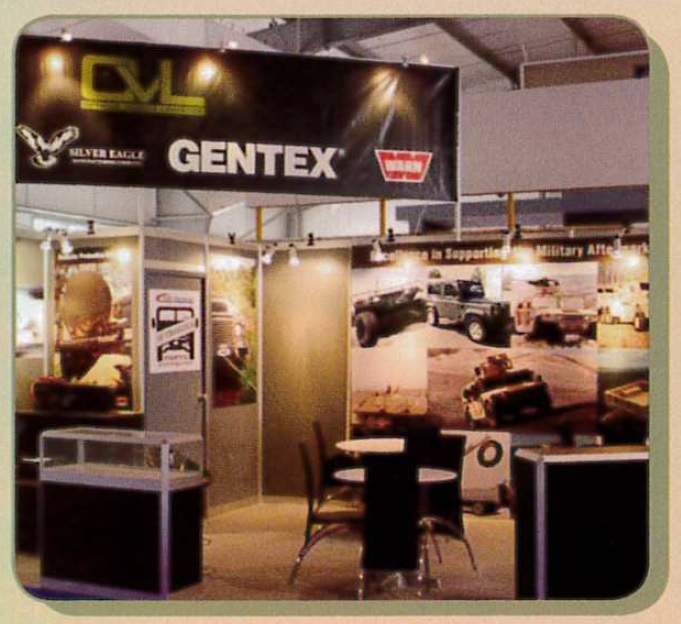 Optimum Vehicle Logistics (OVL) is a distributor of spare parts and accessories for military wheeled and tracked vehicles. OVL provides only the highest quality OEM parts. Every part is designed and tested as a vital element of the complete vehicle system to ensure a high-quality, precise fit, and long-lasting performance. OVL simplifies the defence market by teaming with the most innovative and respected OEMs to offer a single supply interface to fleet operators. Ryan Solutions eU provides lightweight armour protection for cars and bullet-proofing vehicles, video surveillance, and tracking solutions internationally.